1). I had terrible, terrible hair from 1999-2004. Like, TERRIBLE hair. Yikes. 2). I was a big fan of bizarre Value Village outfits. Enormous brown cords, sparkly 80s prom dresses, silver flared jackets with rhinestone buttons, etc. 3). I have done a lot of skinnydipping over the years. This isn't particularly surprising, given that I love swimming and don't always have a bathing suit, but there was definitely a few years in my early 20s where my penchant for skinny dipping was well documented. An early May dip in Lake Temiskaming...just days after the ice had just melted. Highlights include a chilly early May Lake Temiskaming dip when I was on tour with a dance company to Cobalt, Ontario, and the pinnacle of all skinnydipping events at Lake Louise, also while on tour with the same dance company. I'm not sure I've ever been so cold (and that rainy night in a soggy decidedly not waterproof tent didn't not warm things up). Crazy? Maybe, but man, so much fun. I hereby declare next summer there will be more skinnydipping. Much more skinnydipping! Perhaps even tastefully documented skinnydipping! 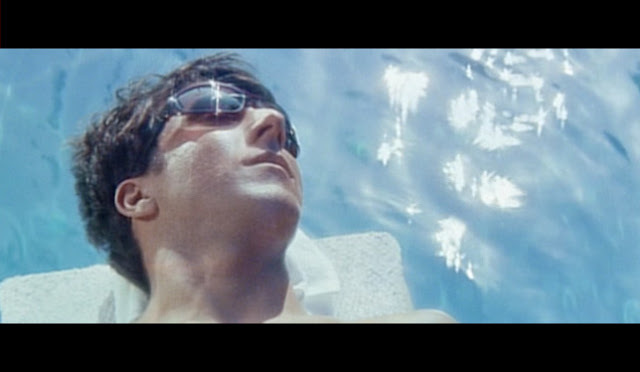 A collection of swimming-on-screen snapshots, that for some reason or another, have left watermarks on our hearts. Classic example of how to win at pool life. Umm... LEECHES! This scene is BURNED into my brain for life. Because Olivia Pope's swimsuit A-Game! Red is a fantastic colour to swim in, and floating is everything. Here is the trailer! Who hasn't sunk to the bottom to just get away from it all. Also Bill Murray for extra credit. Specifically The Summer Man (S04 E08). Don Draper swimming laps... enough said. 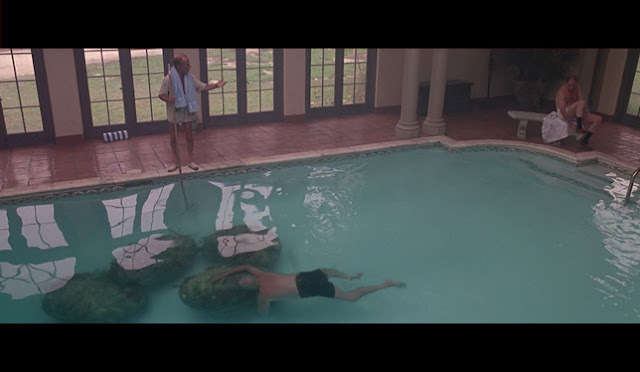 The above pool also triggered my obsession with the N.Y.A.C... will I ever get to swim there? 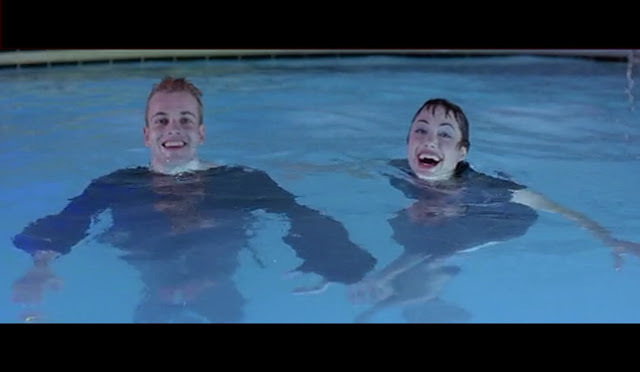 And then after further research I discover that these pool scenes were actually shot at the Los Angeles Athletic Club! Another beautiful looking pool! So many pools... so little time! Final note on this episode, when it first aired I read a review that mentioned how the pool scenes brought to mind John Cheever's short story "The Swimmer".... which I then looked up and read! It's fantastic, and I highly recommend giving it a go. 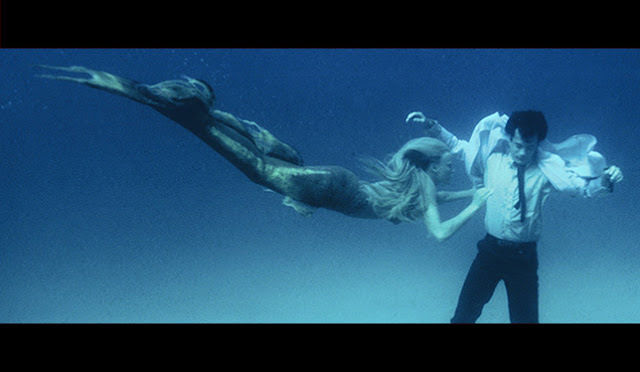 Because ROMANCE in the water! Why? Just look at this pool! 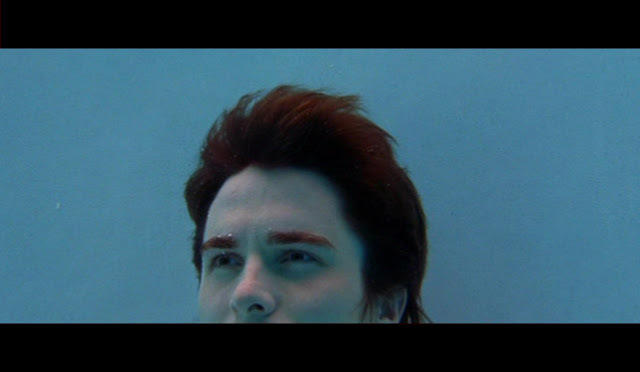 And bonus points for Zach Braff's amazing and hilarious swimming performance! Obvious choice: Dancing and water combined. And we mine as well add this swimming hole to the growing list, Lake Lure, North Carolina! Honestly, this one left a "creepy" mark on my heart. Those cocoons make me shudder. But always loved the indoor pool house. I've included three pics from this movie, that is chalked full of epic swimming scenes. This is also one of my favourite films. It's just so beautiful. "Life is like the surf, so give yourself away like the sea." This scene makes me well up inside. It captures that feeling of needing to just dive in... no matter what. I believe this is the beach at Puerto Escondido. And it is a swimming hole I have known... and it's magical. Where is this? I want to go here and just do endless laps. This show is rife with swimming imagery and themes, including a fantastic title sequence, accompanied by a blazing Fiona Apple song. But Laura specifically pointed out the opening scene of the first episode... it's a great opener. Above... check out that image, the iconic swimmer! This is how I like to think I look swimming... not even close! One more of The Affair! Look at this pool! The tiles alone are imprinted in my mind forever! I mean, come on... this is pretty fantastic... and we all imagined we were mer-people when we were younger... don't lie... you did! I'm pretty sure there are a million pools in Los Angeles that are just out of this world. This is one of them. And every pool scene in this movie is so delicious! Shot right here in Toronto at the Trinity Recreational Centre! 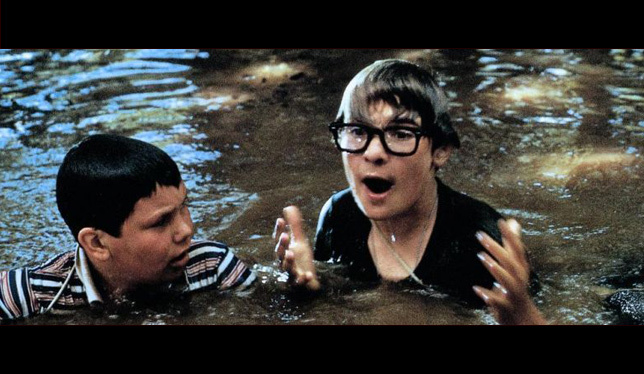 Probably the one movie that captures the flavour of what it's like to swim in Toronto. Also this aqua aerobics scene is an instant classic! For the vintage swim fashion... and incredible indoor pool. This pool is located in a limestone mansion in New Jersey named Shadow Lawn. Specifically, The Doody In The Pool scene. 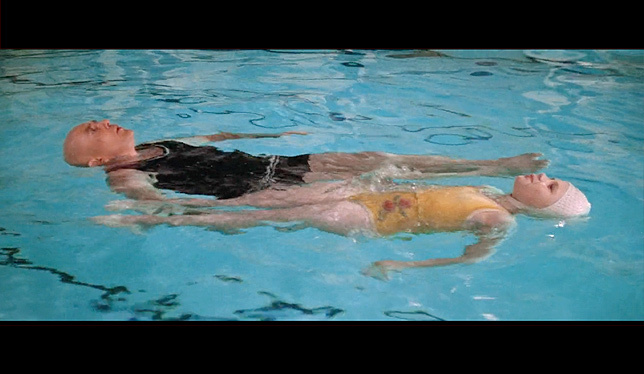 My husband suggested this one... he said this is one of his most memorable swimming scenes from a film. 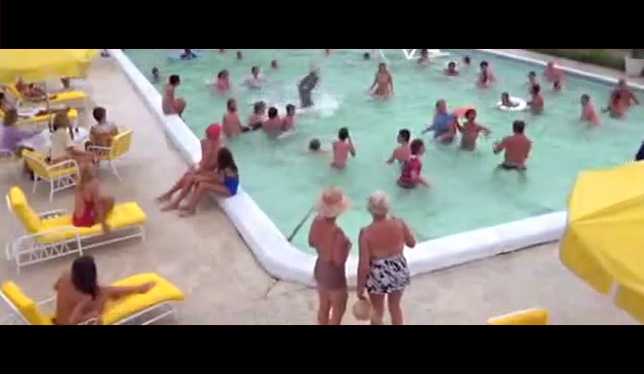 Yes, it is a hilarious and a fairly accurate depiction of what happens when someone fouls up the pool, but it's also really fabulous, don't you think? For me it evokes some nostalgic feelings of poolside parties, hot dog and Popsicle lunches and the scent of coconut tanning oil.... oh and lots of leathery bronze bodies and crazy 80's patterns! Turns out there WAS a pool on the roof... and it is amazing. Looking forward to booking a stay-cation here next summer in Toronto, and diving into this roof top pool! In my humble opinion, this is the most ridiculous water scene EVER! Good grief. Now a request! 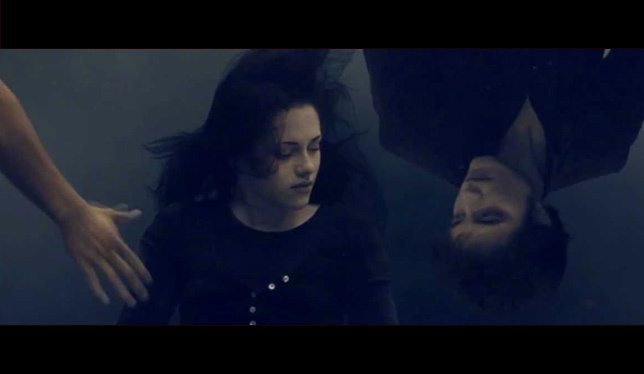 What are you "watermarks", what swimming scenes are etched into your heart forever! Please share so we can keep growing this list! 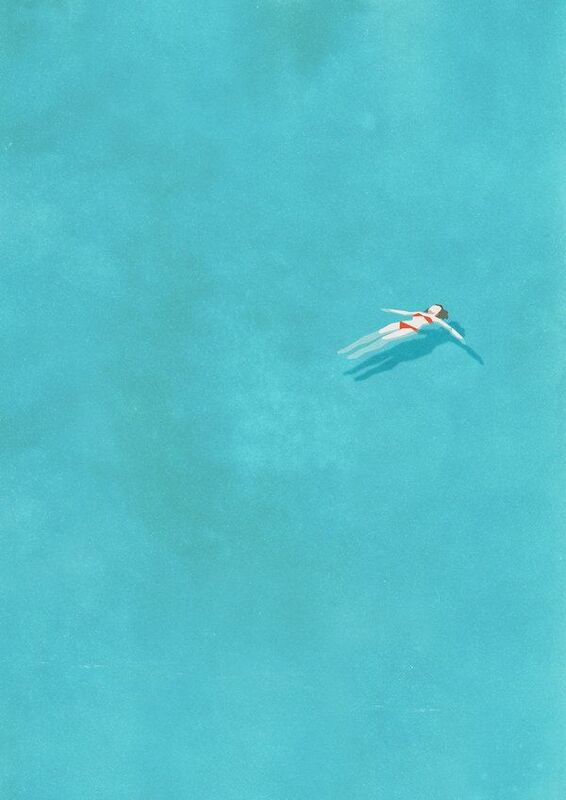 Illustration by Belhoula Amir, another piece of swimming art that I love. It turns out, I have a water baby, which isn't surprising, given water has always been an underlying theme to his dad and I being together, he was born a Pisces, and loved swimming, even in utero. But the half hour of chlorinated, overheated indoor swimming a week isn't nearly enough. 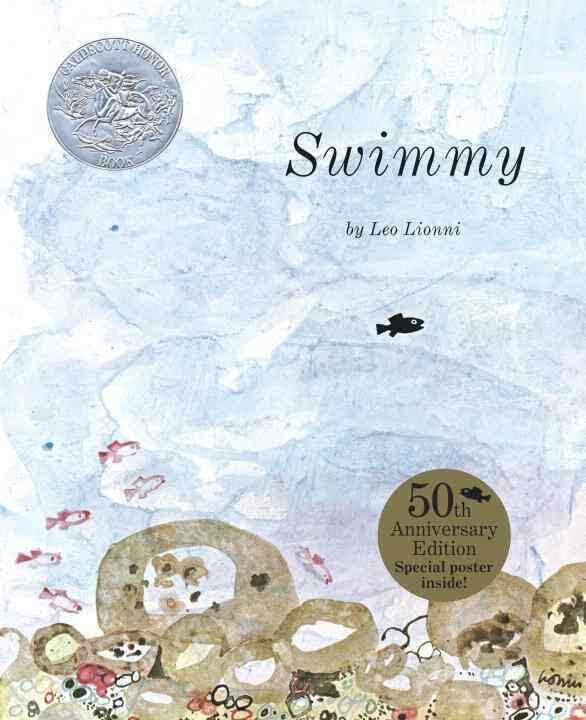 And so, we read about swimming, about water, whenever we can. We all know the song (sorry, you'll now be singing it under your breath for days!) but this illustrated version is so wonderful. It captures the excitement of heading to the pool, complete with putting your bag in a locker, and taking a pre-dip shower. And then as the song begins, it becomes a Where's Waldo-esque swimming pool. The "fancy diving too" page really is the best! I love the little boy has spaghetti and meatballs, and feeds his fish after a long afternoon in the pool. This book is amazing. In it, a wee fish has a hat that is not his. He took it from a much larger fish. 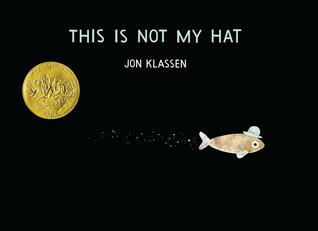 The wee fish has a plan to get away with taking the hat...it's hilarious and beautiful and dark and did I say beautiful? 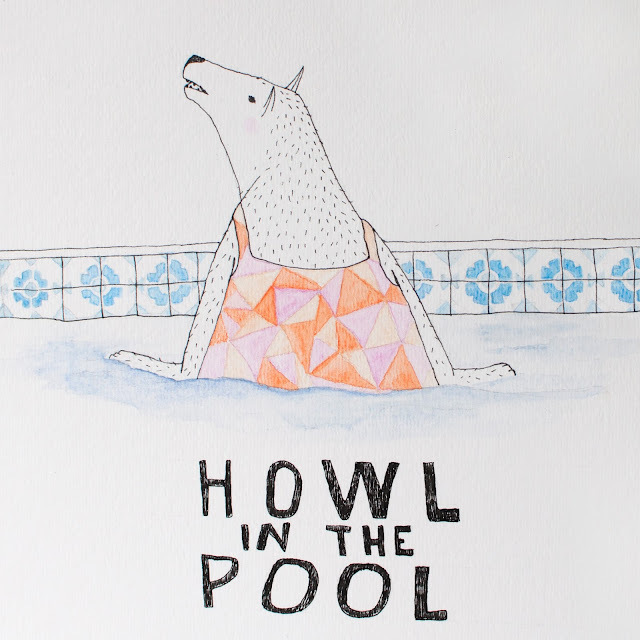 Why howl at the moon, when you can howl in the pool! And the same could be said for all other bodies of water as well, such as ponds, rivers, lakes, oceans, creeks… you get the picture! I’ve been working on a list of pools of water I would love to explore this year, that are somewhat close to home… home being Ontario. I’m also researching my dream destinations like Iceland, Chile and France, I’m just not sure I can get to all these places in one year. But who knows, never say never right?! It’s always good to have goals. 1. The Centennial Aquatic Centre in Collingwood. I think I can get to this pool before this year is up. Look at this place… are the doors raised in the summer? Is this place for real? It looks awesome. How have I not been here yet! 2. Digging the look of the Grand River Conservation area outdoor pool! This one shall have to wait till next summer though. 3. The Elora Quarry was suggested to me by a good friend. Looks outstanding. Definitely road trip worthy! See you in July! 4. Going to try go to Tobermory and get my Grotto on again, because it’s ridiculously beautiful, and turquoise water. TURQUOISE WATER! 5. The Varsity Pool, at UofT in Toronto. Can I even get into this pool? Probably not, I’m not a student… but I’ve always wanted to try swimming here, or at least in the Benson Pool; The smaller younger sister to the Varsity. I would love any road trip worthy suggestions as well! Any best kept secrets, or sublime swimming holes you would like to share, please howl them at me! It's a bit too chilly to be swimming in swimming holes these days, the outdoor pools are closed, so the next best thing is reading about swimming! This is everything I've always wanted in a book about swimming. There's a narrative that propels the book -- the author, Leanne Shapton's long-time relationship to swimming, from her younger years training for the Olympic swim trials, to her work now. 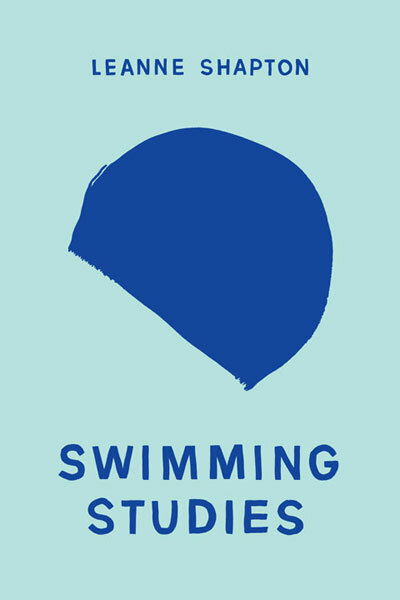 Giving a fascinating glimpse into the private realms of swimming, and drawing, Shapton tells an intimate story of suburban adolescence, family ties, and the solitary underwater moments that now ground her artistic habits. Theres's also an illustration of all of the pools she's swam in and it is the most perfect thing I've ever seen. It's not a book, but it's one of the most perfect short stories I've ever heard (on the radio the other afternoon). 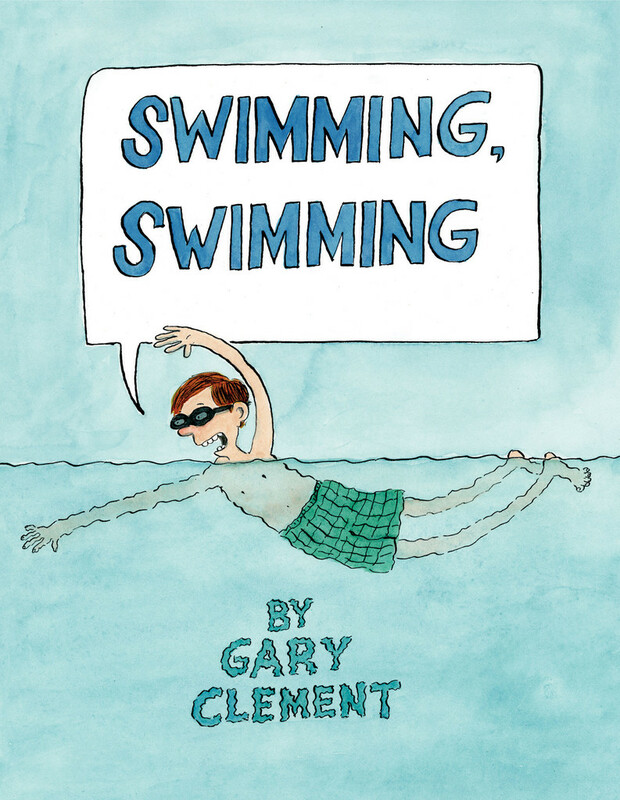 In the story, the narrator invites a group of retirees to her apartment for swimming lessons. There is no pool, but instead, the students lying down on the kitchen floor, their faces immersed in bowls of water. There's a short film made of the story, but I haven't watched it as the image of elderly folk practising their dives into a bed are too perfect to mar with external visuals. This book isn't out yet, but based on the illustrations Lisa Congdon has posted on her Instagram feed and blog, it is already one of my favourites! It will be comprised of essays, art, profiles of swimmers (Lisa put out an all-call awhile back! ), photographs, vintage swimming stuff, hand lettered quotes and history! Some more swim-lit over at the 49th Shelf! The colour of water. 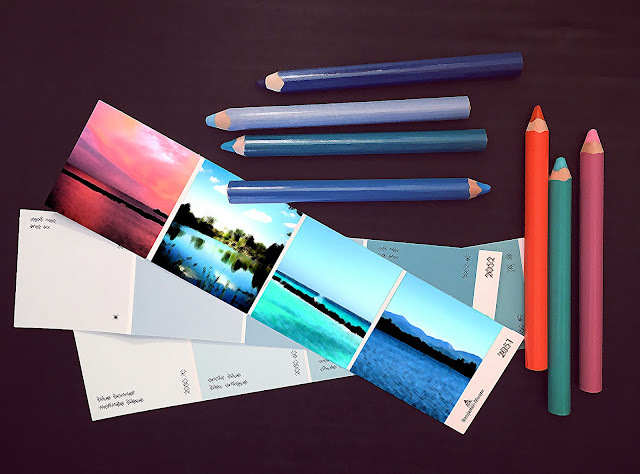 We have pencil crayons and paint chips named after it. We admire it when we arrive and praise it for being "that" colour — that colour being determined by your geography. Mediterranean Blue might be your favourite blue in all the world while you are in Santorini, but then forgotten and overshadowed by Caribbean Blue when you are swimming in it in Aruba. 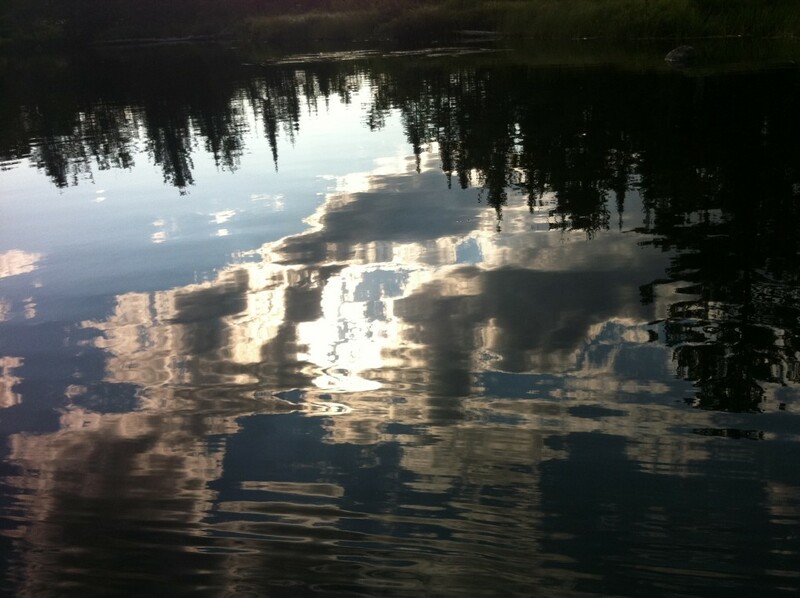 We marvel when it mirrors and absorbs all of the colours of a sky and its surroundings. Sometimes it's a peacock sky with puffy white clouds suspended. Other times it's a quilt of stunning sunset pink. In our mind's eye, water is a colour. But isn't it crazy that no matter what landscape you're in... when you pick it up in your hand, the colour of water is always the same. There is no pencil crayon called "Clear". And then I wonder, if I am made of 75% water as told in science class and countless issues of Shape magazine... what colour am I?